Blessed Alphonse Maria was born Elisabeth Eppinger on September 9, 1814 in the province of Alsace-Lorraine, in France. Her rural village of Niederbrönn, which means “small spring”, witnessed many hardships. Here the sick suffered at home – isolated and without proper care. Young Elisabeth’s heart was moved with compassion by her personal experience of such conditions and their effect on human lives. She readily identified the suffering of people with the suffering of Jesus. Her one desire was to relieve the worries which overwhelm people during times of poverty and illness, by providing the means for health and wellness. This enabled them to experience God’s redeeming love for them. Elisabeth also desired to become a religious. However, few active communities shared her special vision of combining religious life with care of the sick poor in their homes. This radical concept would cause her to become not only a pioneer in the field of health care, but also a visionary in religious life. On August 28, 1849, with the support of her spiritual adviser, Father Jean-David Reichard, Elisabeth founded her own congregation named to honor Jesus Christ the Redeemer. September 10 of that year she received the habit and officially took the name Mother Alphonse Maria. Through the labor and love of Mother Alphonse Maria Eppinger and her Sisters in the years that followed, the Congregation was called to serve throughout Eastern Europe. Today, in many different ways, thousands of people across six continents live the legacy of Elisabeth Eppinger. They express the healing presence of Jesus in a suffering world, by providing holistic health care and social services animated by faith and prayer. On December 19, 2011, Pope Benedict XVI released a decree that officially recognized the heroic virtues of Alphonse Maria Eppinger and elevated her to the title of “Venerable Servant of God”. Then on January 26, 2018, Pope Francis upon review of the life and good works of Venerable Mother Alphonse Maria attributed a miracle that took place on May 29, 1955 to her intercession. The acceptance of the authenticity of this miracle officially closed a long period of study of her heroic virtues necessary for beatification. On September 9, 2018, she was beatified in Strasbourg, France. The Sisters of the Redeemer arrived in the United States in 1924. The process which led them here began as early as 1921, when a group of Xaverian Brothers in Baltimore, Maryland petitioned to have Sisters join them in service at St. Joseph’s High School. The Xaverian Brothers requested the German Sisters of the Redeemer because one of the Brothers, whose sister was a member of the Redeemer Congregation, realized the impact the Sisters’ presence could have in America. 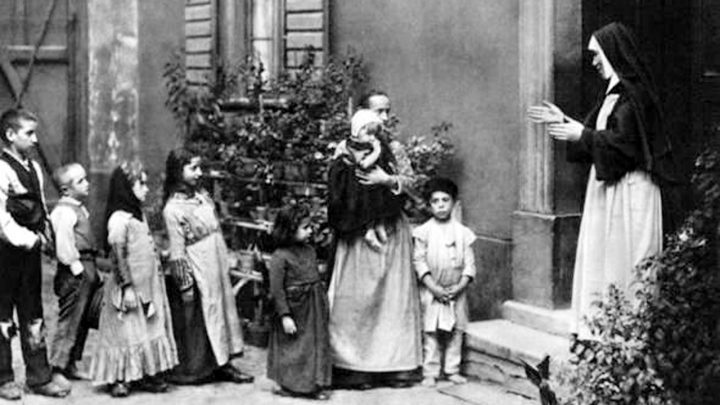 After three years, Mother Basillissa, who was then the Superior General, agreed to send 12 Sisters. On March 6, 1924, the 12 Sisters traveled from Wuerzburg, Germany to Ellis Island, New York. From there, the Sisters traveled to Baltimore, where they arrived to a warm welcome from the Xaverian Brothers. They were given charge of the sick brothers and students of St. Joseph High School. They also took charge of the cafeteria at St. Joseph’s High School, as well as the dining room and kitchen at the Xaverian Brothers’ residence. 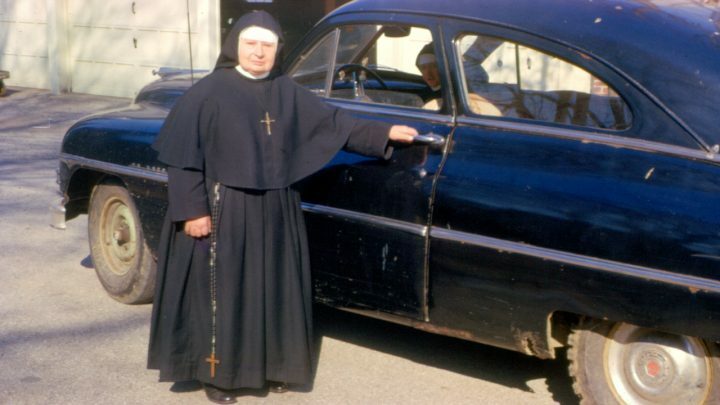 Before long, the German Augustinian Priests at Villanova College, just outside of Philadelphia, heard of the ministry of the Sisters and invited the Sisters to work with them as well. In 1926, eight more Sisters came to America and four were stationed at Villanova College. In the following years, additional Sisters came to America to serve in Baltimore, Villanova and a new mission in Staten Island, New York. The Sisters became well known for their dedicated work and in 1926 the Archdiocese of Philadelphia requested that the Sisters form an American branch. In 1928, the first centralized headquarters in America was designated on North 5th Street in Philadelphia, across from the former St. Henry Church. It is out of this convent that the Sisters began their visiting nurse ministry, serving the infirm and their families in their homes. In 1931, the Sisters were invited to serve in the Drueding Infirmary, a hospital for the employees of the Drueding Company and their families. The thirteen Sisters at the Drueding Infirmary were responsible for the washing, cooking, cleaning and nursing. 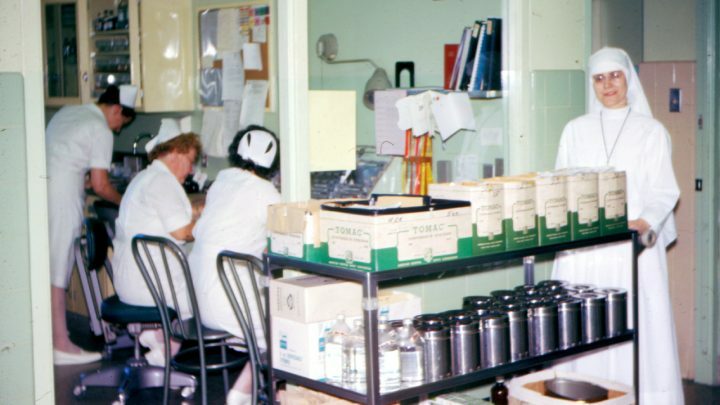 Some time after the closing of Drueding Company in 1958, the Sisters were gifted with the building of the Drueding Infirmary in gratitude for their years of dedicated and compassionate service. Responding to the the needs of the time, in 1985 the building was re-purposed as the Drueding Center/Project Rainbow, a transitional housing program for women and children experiencing homelessness. At the same time, the Sisters continued to serve in ministries throughout the country. In 1932, the Sisters took over St. Elizabeth House in New York City. St. Elizabeth House provided affordable housing in a Catholic setting to women in New York. That same year, five Sisters traveled to Washington D.C. to minister to newly ordained Augustinian Priests. In Danvers and Peabody, Massachusetts, the Sisters were called to provide cooking and housekeeping service in two schools. As the number of Sisters in America increased, the 5th Street convent became too small to accommodate all of the Sisters. In 1934, the Sisters purchased land in Meadowbrook, PA that would eventually become the site of the new American headquarters. Life was difficult for the Sisters during the first years of living in Meadowbrook. The closest church, St. Cecilia Church, was more than two miles away. The Sisters walked there each day to attend Mass. Not having enough money to buy proper farming equipment, the Sisters nearly burned the entire property while trying to clear the land of high grass. Despite these challenges, the Sisters felt blessed to have a new, larger space to call home. The Sisters had a deep compassion for the elderly and desired to provide a welcoming, safe place for them. Through the generous support of benefactors, the Sisters opened St. Joseph Manor in 1937. Initially, the Sisters alone ran the Manor. They did the cooking, cleaning, nursing, washing and gardening themselves. 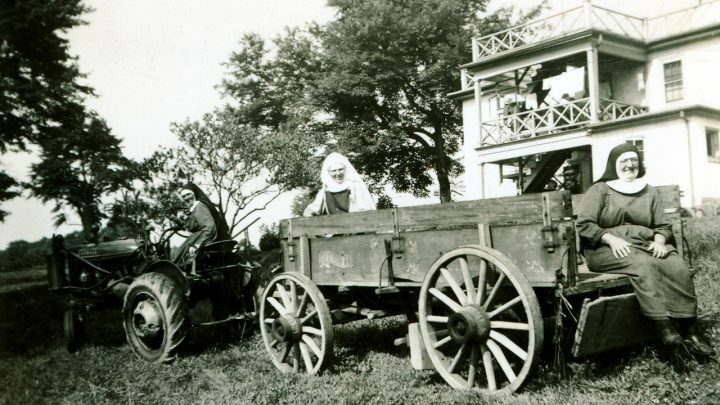 Two years later, the Sisters purchased the adjacent 115 acres from the estate of George H. Lorimer to farm wheat, oats and barley and raise livestock to feed the residents of St. Joseph Manor. This land is now the site of the Redeemer Village, Redeemer Valley Garden, Sister’s Memorial Garden and the Holy Redeemer Healthcare System’s Transformation Center which includes the Redeemer Sisters’ Chapel. Despite many ministries with which the Sisters were engaged in, they never gave up their dream of establishing a hospital in America. In 1955, plans began to develop. 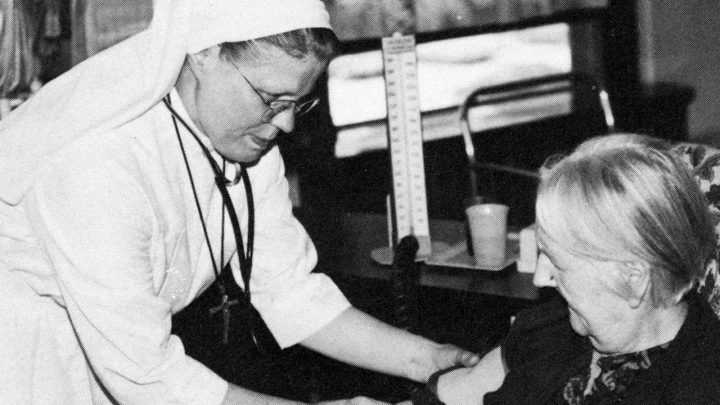 The Sisters’ first intention was to locate the hospital near Center City Philadelphia, but Cardinal John O’Hara recognized the need for a health care facility in the growing area of Meadowbrook. The hospital was dedicated on December 8, 1958 and opened in March of 1959. 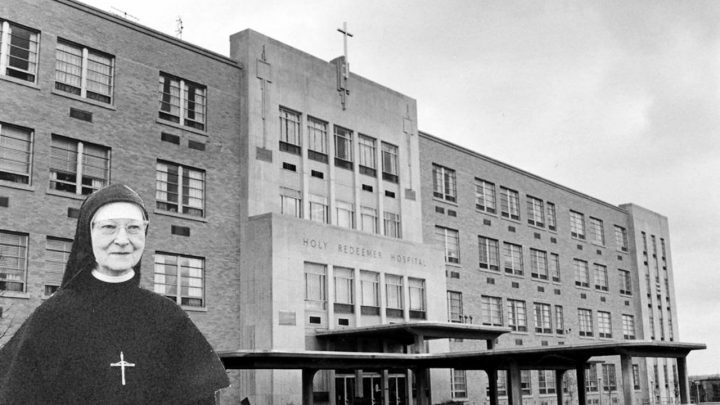 Since then, Holy Redeemer Hospital has expanded to become Holy Redeemer Health Care System, incorporating health care, home care and life care. The history of the Sisters of the Redeemer in America is one of joys and challenges, happiness and hardships and a profound love of God and neighbor. The Sisters’ commitment to the mission of the Blessed Alphonse Maria Eppinger overflows into each ministry to which they are called.